In part one, we discussed one of the stereotypes regarding industry that’s prevalent in almost all PvP circles – the boring nature of mining, manufacturing, invention, and markets. While I admitted that there are merits to those claims, I’m of the opinion that many of the perceptions about industry lies in its meticulous and detail-oriented nature. In layman’s terms: industry is hard. Group 1 – Logistical: Challenges faced when materials are not readily available through local markets and have to be transported from distance. Time investments in transporting goods via industrial, freighter, or jump freighter. Coordinating market buy orders to attainable ranges. Having to mine minerals yourself. Group 2 – Player PvP interference: Being camped at station or ganking, war-decs, miner bumping, extortion, or other hostile actions. Group 3 – Economic: Purposely diminished supplies, demand shifts, or drastic changes in market volatility. Group 4 – Facility: Availability of research or manufacturing facilities. Group 5 – Game-related events such as incursions or CCP-sponsored events. Different areas of space will face all of the different X-factors to varying degrees. For instance, the biggest challenge for the highsec marketeer could arguably be the overwhelming volume of orders and items that flow through a particular market hub in a single hour. Using that context, let’s look at the area(s) you want to set up in and discover the challenges that await you. In highsec (1.0 – 0.5 security status) starter areas, demand right now is high, but only for lower-end meta items. New players don’t possess the skills necessary for T2 and are usually limited to meta 4 and below, T1 frigates, destroyers, and cruisers. 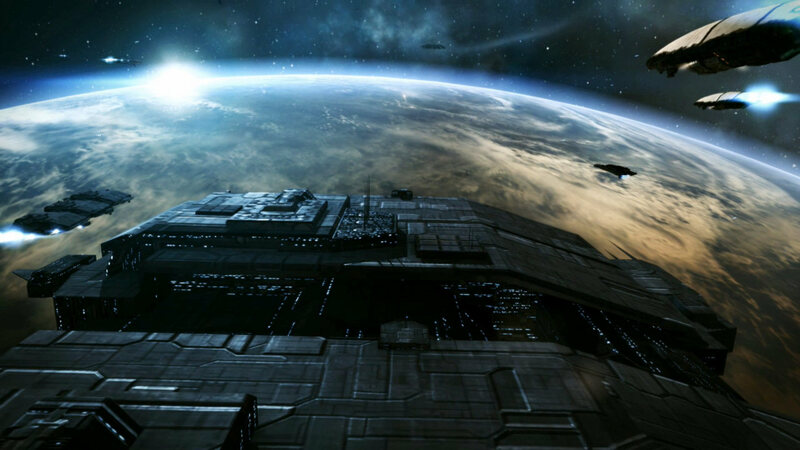 By the time players are into battlecruisers, they usually venture out to level 3 or level 4 mission areas and are learning where the real market hubs are. Starter areas are an excellent place to practice your craft before going full-scale. You most likely will not be able to research anything unless you want to wait in the queue for a month. It’s not worth the opportunity cost to wait. At worst, look up blueprint copies on contract that have an ideal material efficiency and get to work once you have your own characters production and efficiency skills to at least 4, but ideally 5. Use this time to practice costing your minerals, installation costs, and broker fees. If you’re not making a profit, chase down your costs or switch to another item to manufacture and sell. (Hint: fitting mods are great sellers as newbies are trying to get every inch out of their ships with limited skills). Planetary interaction in highsec used to be worth the investment. With the rampant over-taxation by small corporations and alliances thinking they now have a one way ticket to easy street, once semi-fruitful areas such as Gulfonodi and Teonusude are plagued by overtaxed POCOs charging as much as 30% plus your standard NPC tax rate of 5%. However, if you can find decent taxed planets within the same system, PI can be a decent source of passive income and allow you to practice getting the most out of your structures and time. Once you start getting into lowsec areas (0.4 – 0.1 security status) you will start facing more logistical and player-driven challenges. Naturally with decreasing security in systems, risk increases. Facilities may be more readily available through NPC stations, but it’s time you start considering POS access of some kind either through your corporation, or be one of the few who can actually manage more than a small POS by himself/herself. (This is possible BUT NOT recommended). If you are running independently, you have plenty of opportunities to supply the tools of war to various hotspots in Faction Warfare or to recently relocated nullsec alliances. You can be as nice or shrewd as you want to be. Experiment with prices, look at thirty day averages, and the type of combat that’s going on. Faction Warfare relies heavily on both T1 and T2 frigates, destroyers, and cruisers. Certain weapon mods and types are always in demand. It’s here that you can start testing your moral fiber and see if you can corner the market on a much needed supply and gouge prices for your own benefit. However, if you find yourself part of a corporation or alliance, you still have the opportunity to make ISK by greater access to facilities and a steady stream of customers that you supply via contracts. You are more than free to give yourself a reasonable profit margin for the convenience and service you provide. Why contracts? Because other shrewd marketeers will buy your supply that you put on the open market, quadruple the price, and end up hurting the wallets of everyone in the area (which includes your alliance mates in the theater). Put fitted ships up for contract at about 10% margin. Know what new players are able to fly and fit as well as the demand of the high-skill veteran players who demand the expensive stuff. Now is the time to start kicking PI into high gear. You will have logistical challenges in maintaining your chains, picking up your finished products, and getting them to market, but your payout will be worth it. I just recently set up 2 of my 5 PI chains on Proto and can already project a profit of 9 million ISK per day * 30 days = 270 million ISK per month just off these two planets. Once I get it back up to five planets and full production, I easily project 830 million ISK per month. PI is good here. I have easy access to buyers in highsec as well as opportunities to trade and build the open markets. I don’t have to leave system, I only touch my extractors twice a week, and move products once every four days. Again…PI is GOOD in lowsec. Now in nullsec, you’re going to face a whole new challenge: It’s probably the most misunderstood and most misguided beliefs that nullsec industry isn’t even necessary…I of course respectfully disagree. 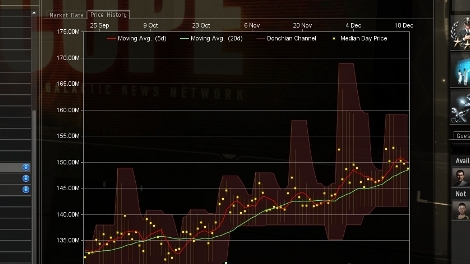 Next week, we take on some of the most influential players in the game head on and make a case for industrialists that expands beyond “Just get it from Jita”, why I believe the economic situations of the farm and field renter nullsec blocks are doomed to failure, and how the spreadsheet warriors that are the industrial strongarm can and will turn these barren areas of useless space into some of the best opportunities in the game. See you next week! Proto began his career in Eve in 2007 and is a current member of Brave Newbies. He spends a great deal of his time blogging and contributing content for Eve related podcasts. When he can put a few sentences together, he's usually worth a read.